Huntemann, Nina B., and Matthew Thomas Payne (Eds.). 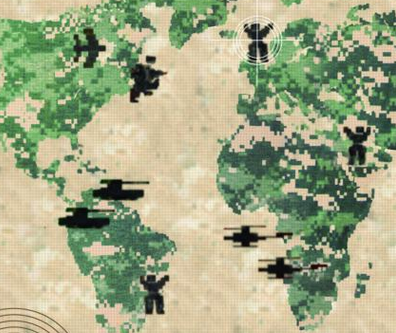 Joystick soldiers: The Politics of Play in Military Video Games. New York: Routledge, 2009. This collection features all new essays that explore how modern warfare has been represented in and influenced by video games. The contributors explore the history and political economy of video games and the “military-entertainment complex;” present textual analyses of military-themed video games such as Metal Gear Solid; and offer reception studies of gamers, fandom, and political activism within online gaming.